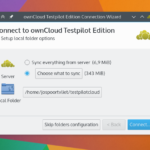 Version 2.0.0 of the ownCloud Desktop Sync Client has been released today. It introduces multi-account support, large folder sync confirmation and more features. Your client will automatically update and packages for your Linux distribution are be available as well. Read on for some highlights of this release! The brand new sync client offers a redesigned user interface to allow for the biggest new feature: multi-account support. This allows users to add more than one ownCloud server to their client, each of them assigned separate folders. 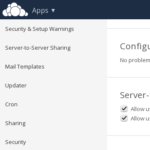 If you have a private and a work ownCloud server, this is immensely helpful. As with previous releases, for each account you can select multiple remote folders to synchronize with specific local folders and within each, check what sub folders you want to sync locally. Another important feature allows users to determine the behavior when new large directories appear on server side sync folder. While selective sync allows a user to choose to not sync a folder, when a folder is shared it is first synced before this decision can be made by the user. This could result in a full drive if the folder is big. We have fixed this problem with a new feature: sync threshold sizes. 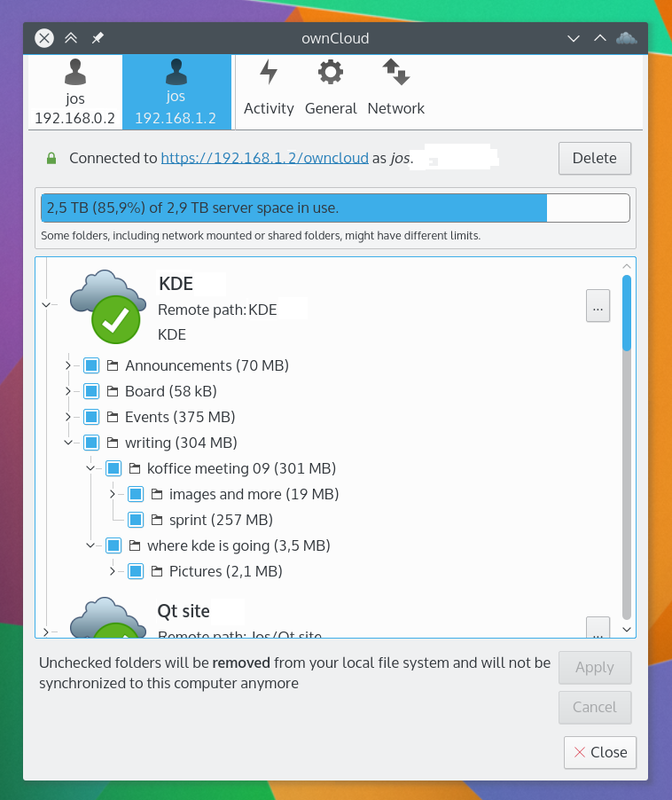 With version 2 of the sync client the user can set a threshold size on any desktop above which a new folder will not be synced automatically to the desktop – and this is for any folder, not just shared folders. If a user wants to have a new folder above the threshold synced, they just use the selective sync check box and the files and folders will be synced. For example, say the user has set the size to 750MB. If a new folder is added that is larger than 750MB, a notification will pop up. The user will then have to specifically checkmark the folder to have it synced. This threshold size is editable by the user, can be set to 0 or greater, and can be set to different thresholds on each desktop client. There have been a number of other changes. Some are platform-specific like support for longer path names on Windows and native Finder integration for OS X 10.10 Yosemite. Both platforms now also support not syncing hidden files. The improved progress reporting during sync will benefit users on all platforms, as will the automatic limit setting for download bandwidth throttling. Last but not least, there have been many smaller performance and stability improvements in the client. You can grab the latest version from owncloud.org/install. On my old Win XP client owncloud.exe prompt an error message saying the application cannot be successfully initialized, error code 0xcd000001d. I do not face any issues on my other clients (Win 10). What can I do do make it work on the XP machine? This is not a problem of Windows XP, but of your CPU lacks the SSE2 instruction set, which the ownCloud client (or actual, some of libraries that it uses) requires to speed up processing. Since SSE2 is available in all computers produced in the last 15 years, and it provides a significant speed up, we did not want to go without it. Got it. Thank you for the feedback, Daniel. what does it mean “native finder integration” ? 2.0 seems to have problems to sync with UNC-pathes. We are using DFS and “My documents” located in networkshares. While using drive letters it works well – using UNC leads to “Csync failed…”. Comments of a blogpost are definitely a wrong place to report this. Just installed v2 of the Sync Client on my Mac (OS X 10.10.5) and see that I have just lost the Finder item that allowed me to share the file in the local synchronised folder with others. With the previous client (1.8.x) I had a Share with Owncloud (?) Finder menu item that popped up a window with the Share Link, Password checkbox and expiry date. With v2, nothing .. no menu and a vastly used Finder menu option. Btw. comments of a blogpost are definitely a wrong place to report this. Chris, for end-users like me, on the contrary the bug comments on this blogpost are very precious: without “checking the issue tracker” (which I don’t even remember how to) I can see some feature like the local OSX Finder integration have been removed, and decide easily to wait for the next upgrade. I know this won’t improve bug tracking -but it’s rather a forgotten feature and well it’s definitely much faster than going random into the bug tracker. 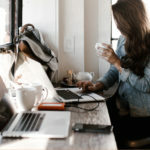 the main problem of such comments in blogposts are that they are mostly get lost. Especially if something like this is happening after an update its not very likely that “something was removed” but that there is a bug happening somewhere during or after the update. And this needs to be tracked in the bugtracker rather than in the comments of a blogpost. Since upgrading to the newest version of the windows client I am prompted for my password, I know it is correct since it works on my phone and the web app. Is there a compatibility issue?